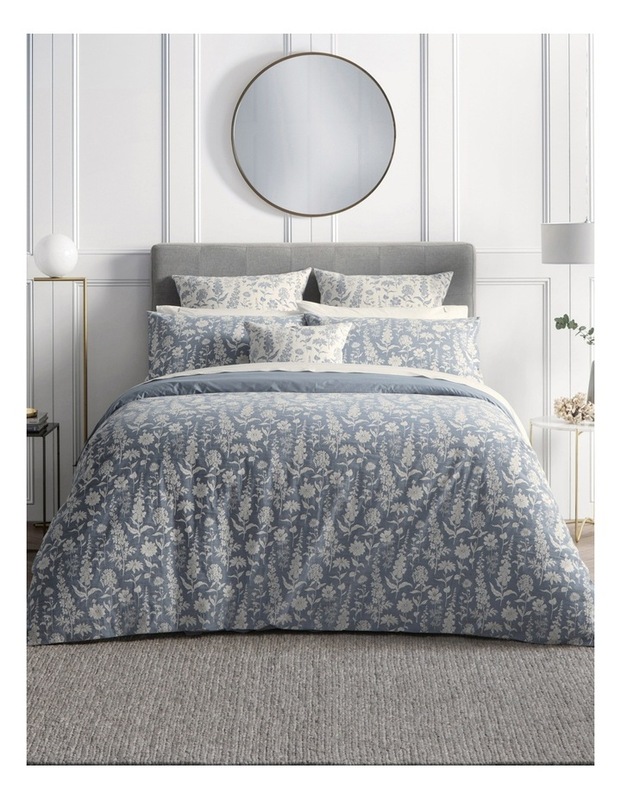 A unique jacquard weave designed in lines of botanically detailed herbs and flowers, all woven onto a background of a chambray texture. Woven in Portugal from 100% cotton. This design represents the incredible craftsmanship of the weaving mills of this country. The European pillowcases and the decorative accessory cushion are woven in reverse to show a positive/negative co-ordination.